In Spring and Summer, outdoor activities abound (see here for some ideas). But after that flower-picking walk through a meadow or hike up the Tobel, it’s important to remember that warmer temps bring ticks. Hikers, runners, dog-walkers and anyone who spends time in woodsy areas should watch for tick bites, which can cause tick-borne encephalitis (TBE) and Lyme disease. 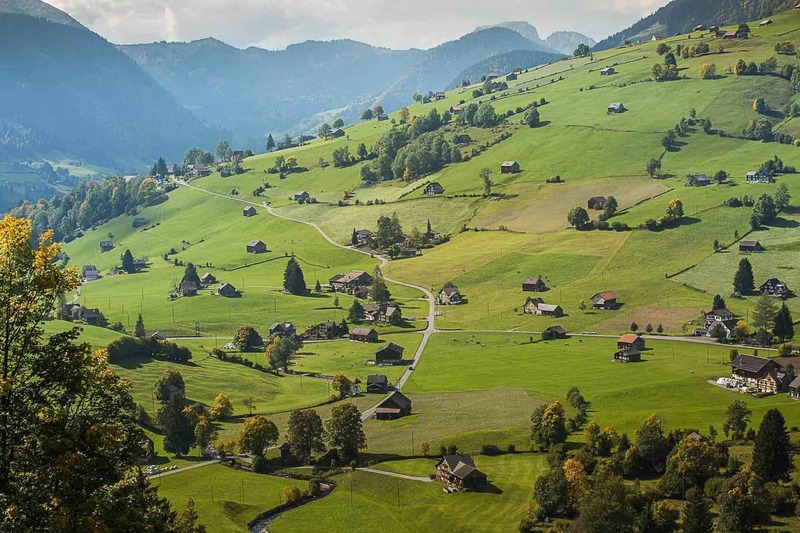 In Switzerland, tick vaccinations are highly recommended and can be started at any time. But the vaccination only prevents tick-borne encephalitis; there is currently no vaccination for Lyme disease. Thus, even those with tick vaccinations need to take precautions before going out and then thoroughly check themselves, their children and pets for bites afterwards. Many times their presence and their bites fly under the radar because they release an anesthetic when they bite that numbs the skin. “People commonly think that it will be like a mosquito, where they will see or feel something biting them, but quite often the ticks drops off and people never see them,” says Caddick. If they do stay on board a body, Caddick says, ticks migrate to the warm moist areas, so it’s important to thoroughly check the head, groin and underarms. If a tick is found on the skin, Caddick recommends using a tick-remover, a credit card-like device that makes it easier to reach under the tick’s head and get it out without compressing the tick’s body. Tick removers can generally be found in chemists and Apothekes in Switzerland. The most common warning sign is a target or “bull’s eye” shaped rash, but rashes can take many other forms and can cover large areas. An infection can also cause flu-like symptoms such as fever, chills, and muscle and joint aches. The above photo is a “classic” bull’s-eye rash. 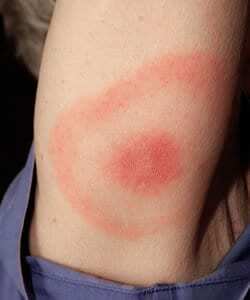 However a rash caused by Lyme doesn’t always look this way. Approximately 25% of people infected with Lyme disease do not have any rash. 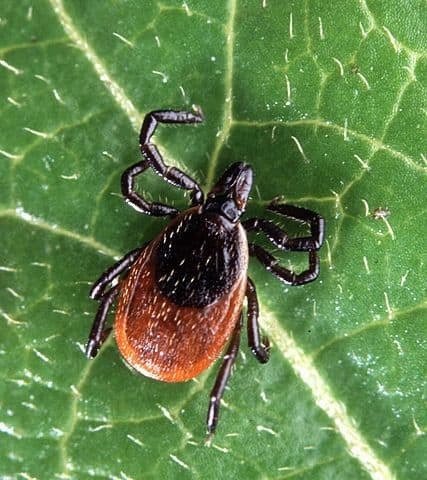 Finding a tick should not be cause for alarm, but any suspicious rashes or symptoms that occur should be followed up immediately with a call and/or visit to the physician, says Caddick. Treatment for the early stages of Lyme disease infection is a relatively short two-week anti-biotic course, while treatment for later stages of the disease can be much more intensive and possibly ineffective. When going into wooded areas, wear long pants tucked into socks. Stay on paths and avoid walking through long grass. Make sure to check pets after hikes before letting them on beds. Article written and researched by Jennifer Lisle. Jennifer is a Zurich-based freelance journalist who has written for The Los Angeles Times, The Wall Street Journal and Elle, among many others. 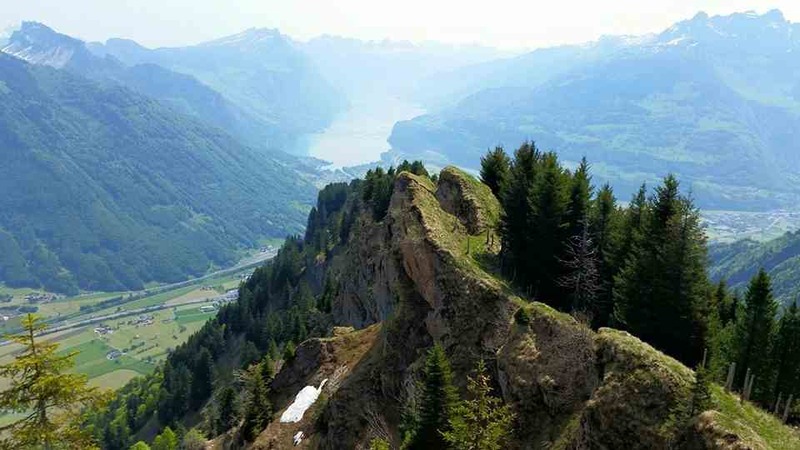 For more information about what’s on in Zurich see our What’s On page here, check our News column here or why not subscribe to the blog in the box below. 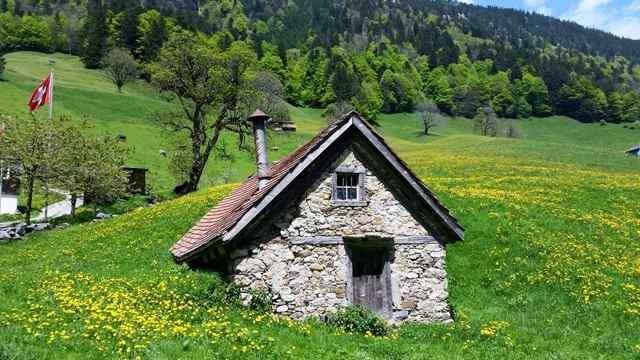 Share the post "Top Tips on Ticks in Switzerland"